Dutch offshore industry proposes to install up to 6 GW wind power in the cyan colored part of the North Sea, bordering the British part of the continental shelf. The Dutch offshore industry was so kind to offer a helping hand in the dispute where to install a handful of gigawatt Dutch wind power: 60 km from the coast rather than 15 km. 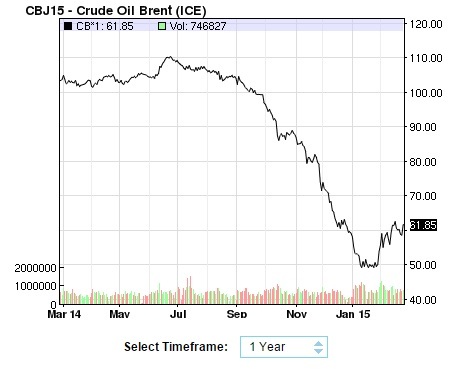 Editor: if the oil price can be more than halved in six months, it can also double in six months. Low oil prices encourage economic growth, which increases demand for oil, which increases prices. On top of that, a lot of North-American production facilities with high operational costs are being driven out of business due to the low oil price. It could take some time to get them started again. Perhaps Vlad’s purse will be full again next year. Floating wind turbines in deep waters offer an enormous potential for producing wind energy, says the European Wind Energy Association. According to the EWEA, the relatively small area of the North Sea is sufficient to produce four times more electricity from wind than Europe currently consumes (report July 2013). Apple has a problem: too much money ($178B). What do most companies do in this situation: expand and invest in new territories; after all, a human may have two ears, but only one mouth, so it does not make sense to have two iPhones. What territories to expand in? 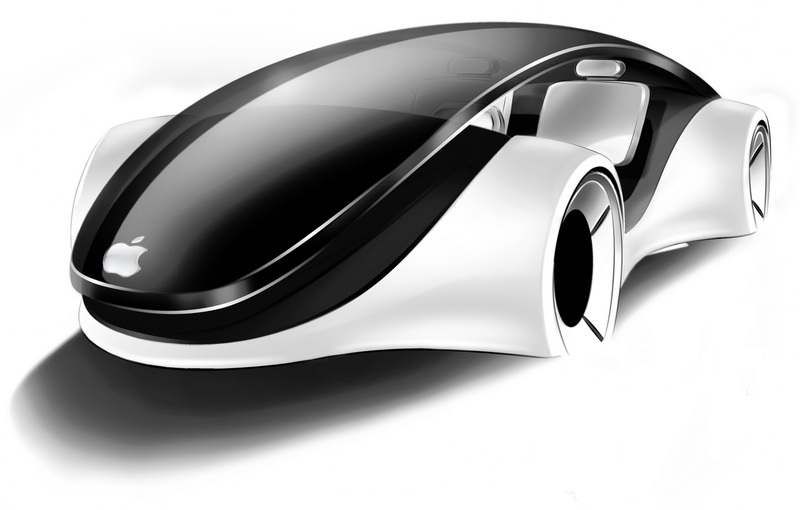 Apple is hiring people with an automotive background, according to the WSJ up to 1000 people. Rumors about a project code-named “Titan”. More indications: battery company A123 Systems is suing Apple for snatching away valuable top technicians. 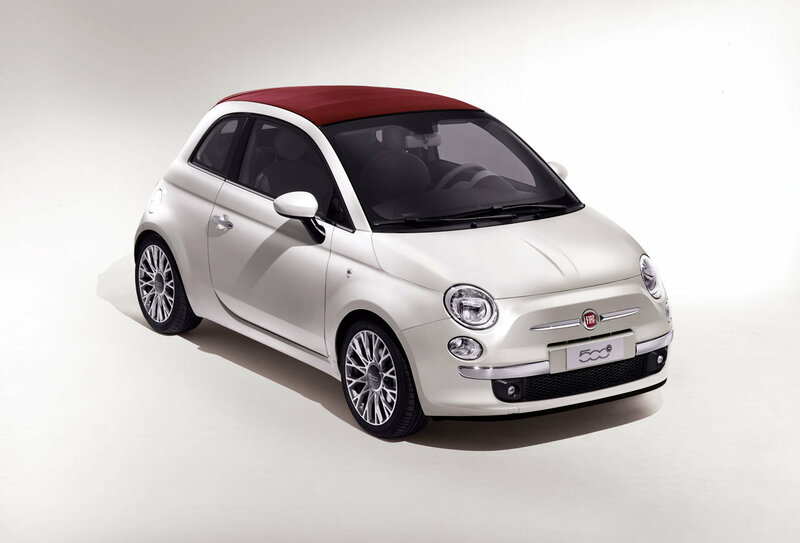 We’ll be curious to learn how the iCar is going to look like, perhaps a mix between a Fiat 500 and an iPhone, no doubt online as you drive, instruct your car by voice what your destination is. Start the car: tap an icon. Update the latest software while you drive. Cruise control, perhaps even automatic driving; currently many companies are working on that. No doubt electric, perhaps integrated solar cells, low energy consumption, fuel cells, sold as a ‘green car’. 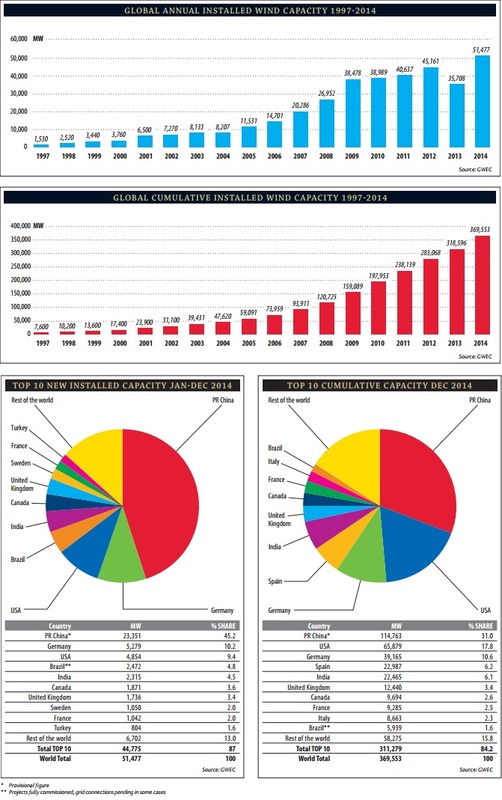 2014 was a good year for wind energy. Never before was so much new capacity installed. Gordon Hughes: windbag and shill for the fracking industry, producing hot air when he opens his mouth. Wind turbines ‘only lasting for half as long as previously thought’ as study shows they show signs of wearing out after just 12 years… A study of almost 3,000 turbines in Britain – the largest of its kind – sheds doubt on manufacturers claims that they generate clean energy for up to 25 years, which is used by the Government to calculate subsidies… In Denmark, where wind power has been used for longer, the decline in output was less dramatic, which he said could be down to their smaller size and possibly better maintenance… His report for the anti-wind farm charity the Renewable Energy Foundation (KEEP), noted: ‘Onshore wind turbines represent a relatively mature technology, which ought to have achieved a satisfactory level of reliability in operation as plants age. A spokesman said: ‘Our expectations of wind turbine lifetimes are based on rigorous analysis and evidence. Britain’s oldest commercial turbines at Delabole in Cornwall have only recently been replaced after 20 years of operation, and the technology has come on leaps and bounds since that project started generating in 1991. The fracking debate has been hijacked by “political posturing” and could leave Scots stuck with sky high energy bills compared with other parts of the world, a leading economist has warned. 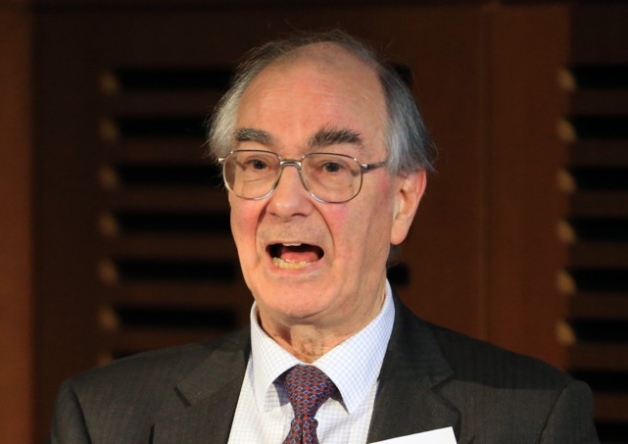 Professor Gordon Hughes, a former world bank adviser, warned Scotland could be sleepwalking into key decisions over its energy future without a “genuine debate about reality rather than phantasms”. Well, the good professor has a horse in this race and that is fracking. On top of that he formulated his opinions for an anti-wind platform. So, what do the wind energy ‘paid shills’ have to say about Hughes study? The article does not really address the figures Hughes is giving. Instead they point at the anonymous peer review and that the professor has a history of being anti-wind and refers to the official British government pro-wind stance. [sciencedirect.com] – How does wind farm performance decline with age? We find the ageing effect to be present, but much smaller than predicted by Hughes, in line with experience of other rotating machinery… We find evidence of important, but not disastrous, performance degradation over time in a large sample of UK wind farms. When variations in the weather and improvement in turbine design are accounted for, we find that the load factors of UK wind farms fall by 1.57% (0.41 percentage points) per year. [renewablesinternational.net] – Wind turbines for 40 years? And here is a German wind power specialist saying that the official 20 years life span of a wind turbine is often related to the time of a permit and says nothing about the economic life span. Herr Romberg suggests that with proper maintenance wind turbines can operate for 40 years, not 10-15 years as Hughes suggests. Editor: electricity generation with wind energy is a relatively new technology and there are hardly enough older turbines around to test the claim that these turbines have a life span of 20-25 years. As a rule technology improves with time, and modern turbines can’t be compared with the shabby machines produced 20 years ago. And as the professor indicates himself: maintenance is very important. And since wind in Denmark is not really that different from wind in the UK, longer life spans in Denmark must have to do with better maintenance. But if a commercial airliner, like a Boeing 747, can be operational for decades on end, spending more time in the skies than on the ground and having to deal with vastly higher wind speeds and stresses than wind turbines, than it is safe to conclude that mature wind power technology will be able to deliver turbine designs that can last decades as well. As a reminder: the Eiffel tower has been around since 1889, that is 126 years. Yale estimates that the tower could last another 2-3 centuries. There is no reason to assume that steel wind turbine towers could not last a similar long time span. Here is an example of a Dutch windmill from 1458 or older and still works. In Havana there are almost exclusively cars around from the fifties and not even particularly well maintained. Maintenance is everything. 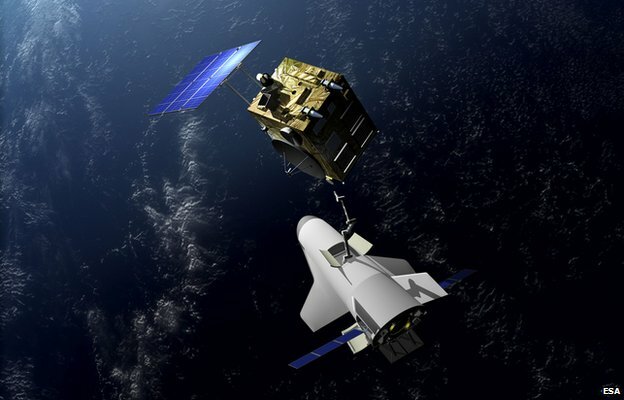 An experimental vehicle to develop an autonomous European reentry capability for future reusable space transportation (‘space taxi’) has completed its mission. ESA’s Intermediate eXperimental Vehicle flew a flawless reentry and splashed down in the Pacific Ocean just west of the Galapagos islands. ESA has great plans for this kind of kit. Giorgio Tumino explained the objectives in an interview with Euronews: “When we look at the future possibility to bring back to Earth astronauts, or samples from asteroids, or in the long-term from Mars, this is a technology that is a must to have on board, to be able to come back to Earth.” These kinds of vehicles could also be used to refuel satellites in orbit, bring science experiments back from the ISS, and even deal with space junk. [euronews.com] – Why is Europe’s IXV spaceplane mission so vital? Meanwhile, Apple has the insane amount of $178B cash reserves, that’s an equivalent of 100+ GW solar power, or 100+ conventional power stations. 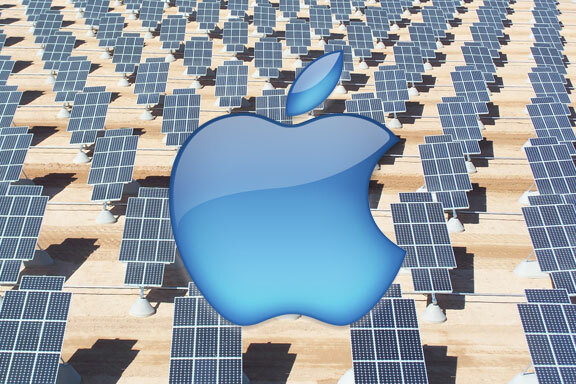 Hint: Apple could become very big in solar power and the catalyst of the global solar power revolution. This car is a reasonable solution for personal transport in a post-carbon world in territories like Australia, Africa, SW-USA, Middle-East and southern Europe and even in cloudy lands like Holland. Over a year this car generates more energy than it actually consumes. Pictures from Solar Challenge 2013. Shows advantages of Australia for the coming ‘solar age’. Predictable and intense sun shine, providing abundant energy, enough to propel three adults in a stream-lined car with an average speed of 77 kmh, bridging up to 700 km in one day. At 600 m altitutide the energy density is 5=8 times higher than near ground level. The floating wind turbine is designed to take advantage of that fact. Most likely application: remote areas, like Alaska and Siberia or in disaster stricken areas to replace diesel generators. … and travel through the solar system, obviously with the speed of light, starting from the sun, without smashing into a solar panel. Promised. It takes 43 minutes to reach Jupiter. Travelling further to Saturn would take another half hour and is not included. This explains why Germany, China, Italy and Australia are at the forefront in installing photo-voltaic systems. Bosch video showing the production process of a solar cell. We have had the Ice Age, Stone Age, the Bronze Age, the Iron Age, the Fossil Fuel Age and now we are entering the Sand Age (Silicon Age) aka Solar Age. … and produces ca. 4 Watt peak or 3.7 kwh per year (Holland) or 100 kwh over a 30 year lifetime. If you realize that 1 kwh represents one man-day of hard physical labor, than this tiny piece of silicon is the equivalent of 6 months of hard physical labor, based on 200 working days/year. That’s the power of technology. That little 250 cm2 piece of silicium with the weight of a few grams is able to lift a car (in 30 years time) to roughly the same altitude from wich Felix Baumgartner jumped. 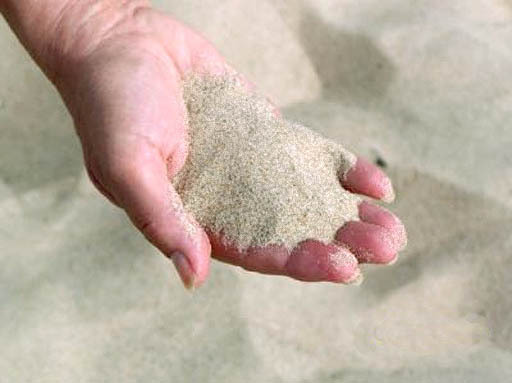 This amount of sand, after proper transformations, can generate energy, enough to lift a car into the stratosphere. In order to replace the world’s current energy consumption for 100% with solar, you need to cover an area the size of Spain entirely with solar panels. 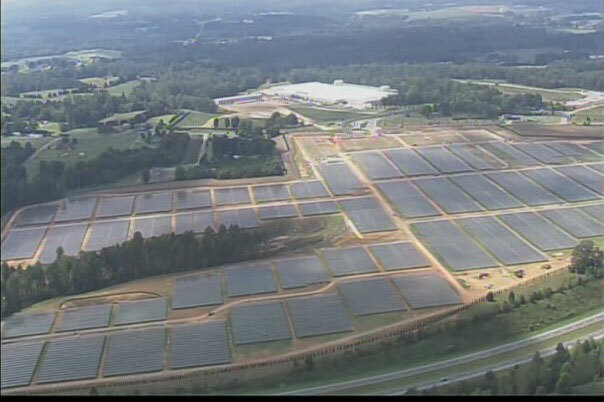 That’s a daunting task, but it can be done, as long as you still have fossil fuel to produce these panels. Once these panels are in place, they generate enough energy to replace themselves after 25-30 years, considering an EROEI of 30-60 for well-placed modern solar cells. Production plant of Calyxo GmbH in Bitterfeld-Wolfen, Germany. 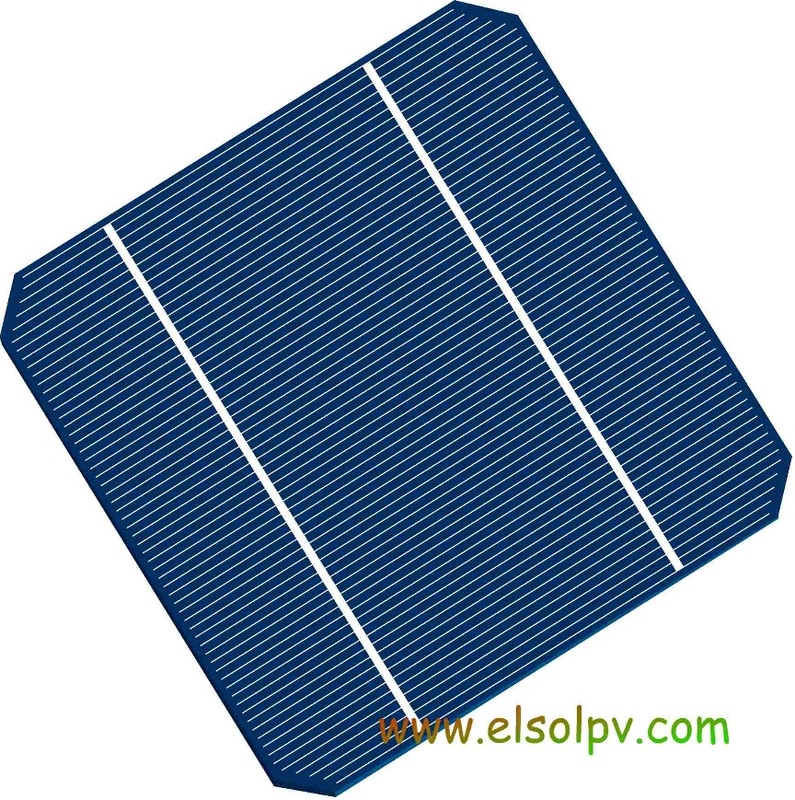 Production of CdTe Thin Film Solar Module.